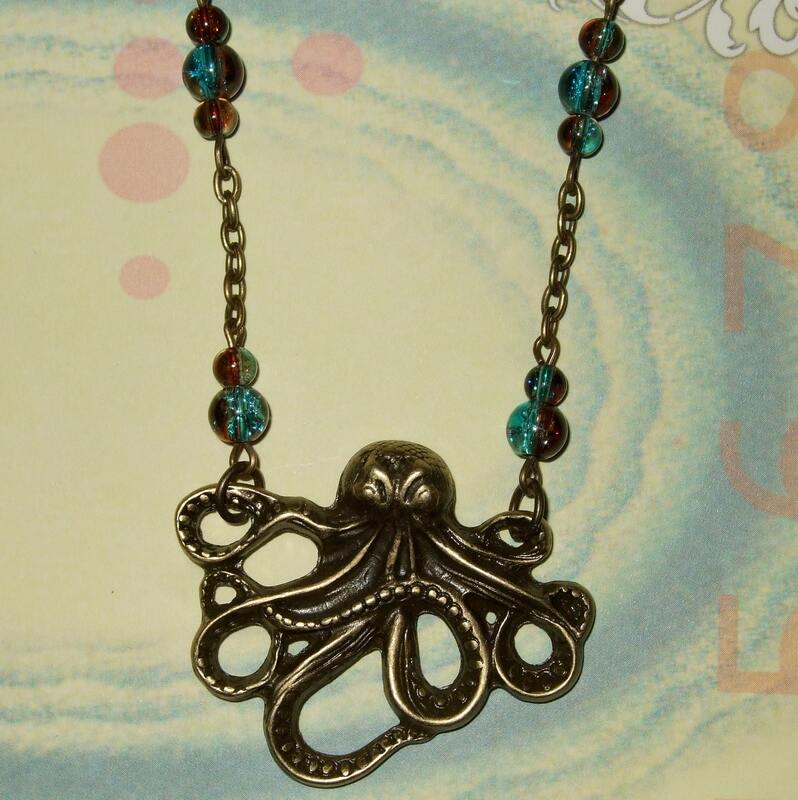 Octopus necklace - look, I tried. I really did. 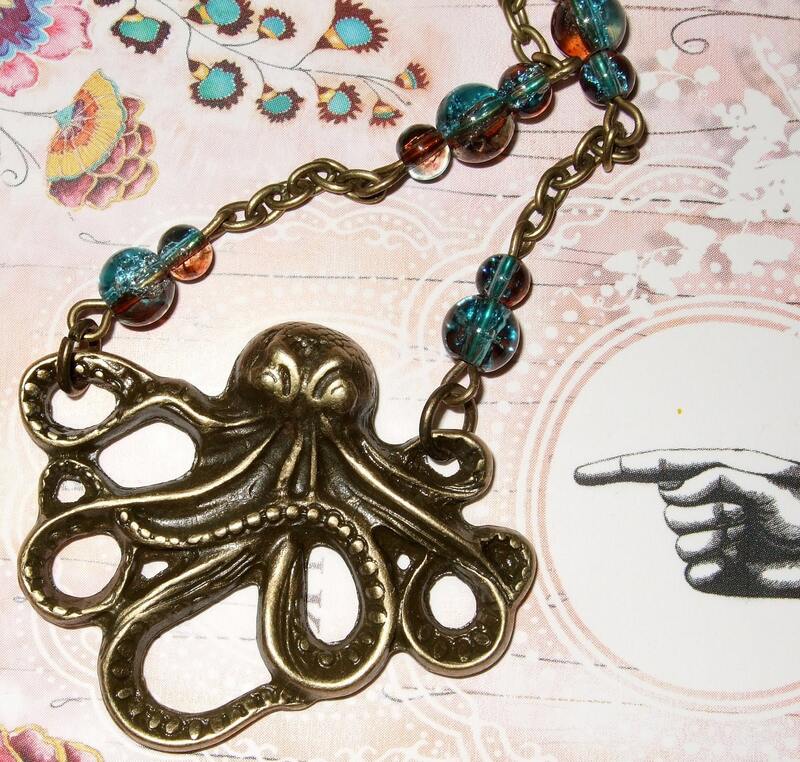 I didn't want to be one of those people selling an octopus necklace that looked the same as everybody else's octopus necklaces. But in the end, the octopus won me over. I mean, look at him! He's so cute. And I added beads, so he's NOT the same as everybody else's now. OK? 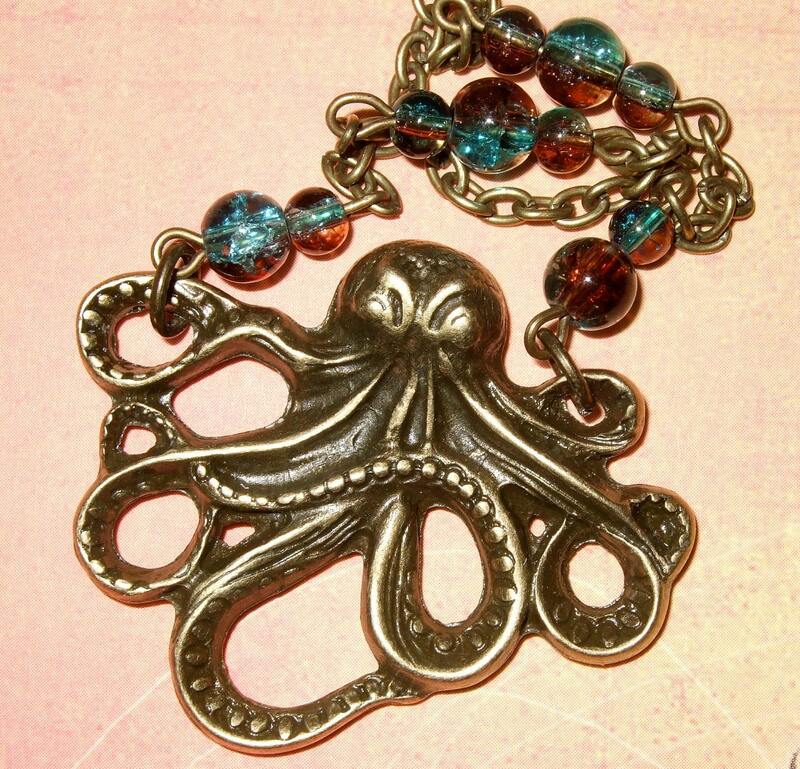 Beautiful chocolate/teal glass crackle beads make for subtly sparkling accents on the chain, and Mr Octopus is proudly sitting there, finely detailed with his windy-around legs. 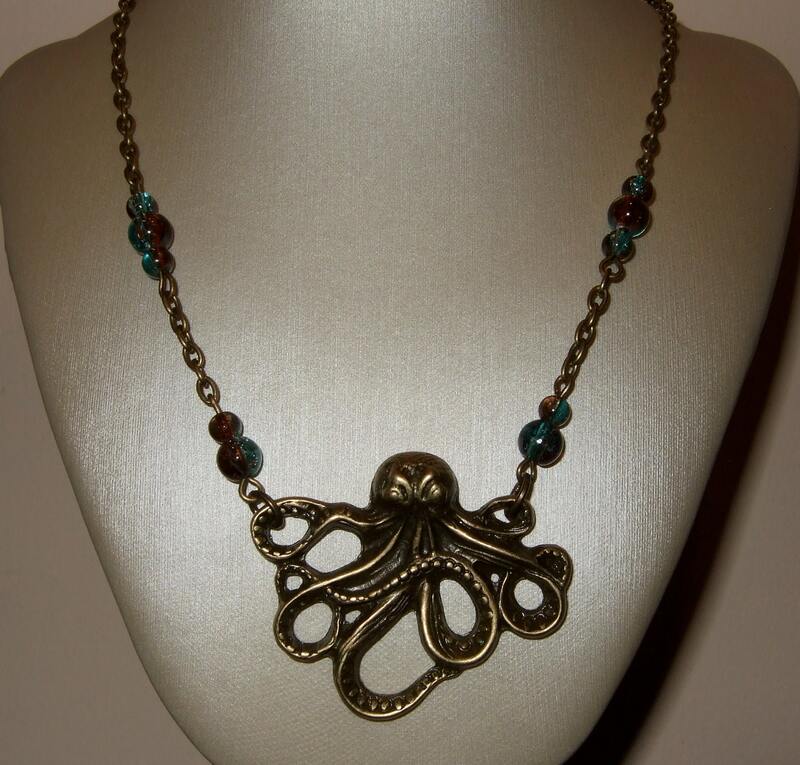 Necklace is approximately 18"/45cm and fastens with a lobster claw clasp. Octopus is around 1.75"/4.5cm wide. Chain is lead and nickel free. Oh, and I position all my necklace clasps on the right side of the necklace as you wear it - I know as a right-hander this works for me, but if you would prefer it on the left side please do let me know in the notes to seller - it's only a tiny thing but it's just easier to do up with the clasp on your preferred side!